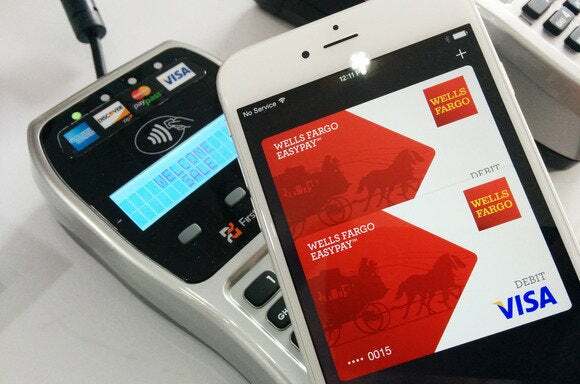 On Saturday, CVS Pharmacy customers using Apple Pay reported that the retailer had joined Rite Aid in disabling its NFC credit terminals, according to MacRumors. CVS’s reasoning behind the end of NFC support is simple enough: Leaked internal documents published by SlashGear indicate that the company is “currently working with a group of large retailers to develop a mobile wallet” system that should be up and running the first half of next year. Presumably, this means that CVS, like Rite Aid, will take part in the Merchant Customer Exchange’s upcoming CurrentC mobile wallet system. The story behind the story: NFC is a widely supported industry standard, and it’s the technology that powers both Google Wallet and Apple Pay. The upcoming CurrentC system, by comparison, will require you to scan a QR code, or show a QR code to your cashier, according to TechCrunch. Such a system has some advantages—it could support more hardware since it wouldn’t require a phone with built-in NFC—but it isn’t quite as smooth as tapping your phone to the credit card terminal and being done with it. Mobile payment systems are still young, so it isn’t too surprising to see various competing standards right now. Still, a fractured mobile payment scene may limit adoption‚in turn delaying the goal of a tap-and-go future—and disabling an existing system your equipment already supports won’t do much to foster customer goodwill.